Confession: I have been sitting on this sunscreen recipe post (and not sharing it with all of you) for a loooong time. Whew! I feel better getting that out. So, just exactly why have I been sitting on this post? Well, you know that I keep it real with all of you. So, here goes. I tried my hand at multiple DIY sunscreen recipes last summer. A few were total flops, a few were okay, and a few were pretty good but, I wasn’t completely happy with any of them. So off I went into my laboratory to create my own. Oh, the thrill I get out of creating new awesome DIYs in my laboratory (okay, it’s my kitchen) for my family and all of you. So, why was I holding onto this recipe for so long? Well, after the first attempt I was shocked. Honestly (with all modesty out the window), it was perfect in the first attempt (which rarely happens). So, I made another batch (just to be sure). Yup, it really was THAT GOOD. 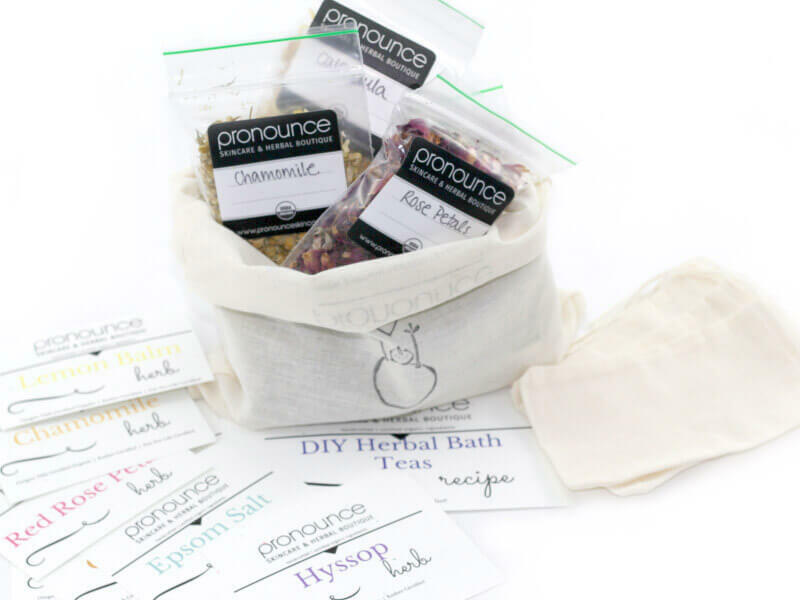 As many of you know, I handcraft my own Pronounce Skincare line, so I didn’t even think about putting it onto the blog… it went straight into my shop so I could offer it to all of you. Selfish? Perhaps… but, it is what it is. 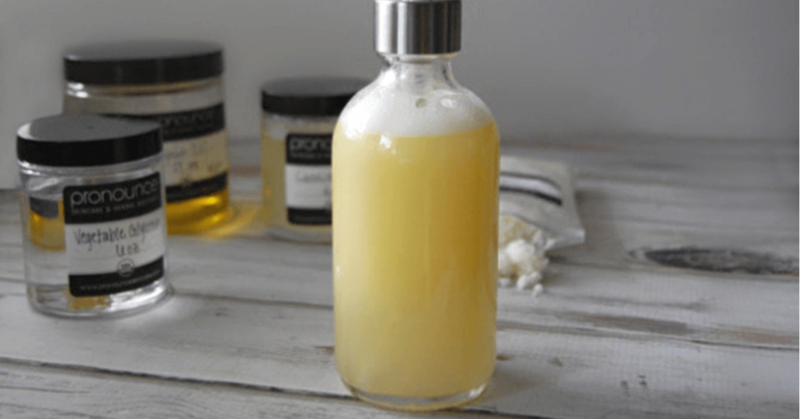 So, I created and published my DIY deodorant recipe and it was an immediate hit, here’s the kicker… not only was the recipe a hit, it was a smash hit as a seller in my shop. If you ask me, that is #winning. The DIYers get to make it and everyone else can simply purchase my healthy deodorant. I recently did the same thing with my Smooth Finish Organic DIY Foundation (with sunscreen). The DIY recipe has been a hit AND it has been a hit in my shop. So, it occurred to me that maybe I should publish this sunscreen recipe. 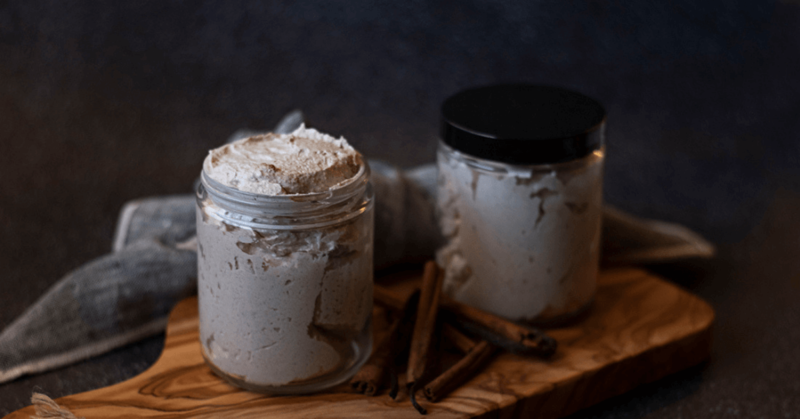 *Plus, you have two recipes from my archives that use zinc oxide (the DIY Facial Foundation recipe & DIY Facial Powder recipe) and NOW you have another one! Again… #winning (if you ask me). How Good Is This Sunscreen? Now, why should you make it (or buy it)? Detected in mother’s milk, widespread skin allergies, mimics estrogen in the body, linked to endometriosis, etc etc etc. (Octylmethoxycinnamate) Again, found in mother’s milk, allergy concerns, and also acts as a hormone in the body. I’m not even going to go here…you know that these numbers and letters together can’t possibly be good. 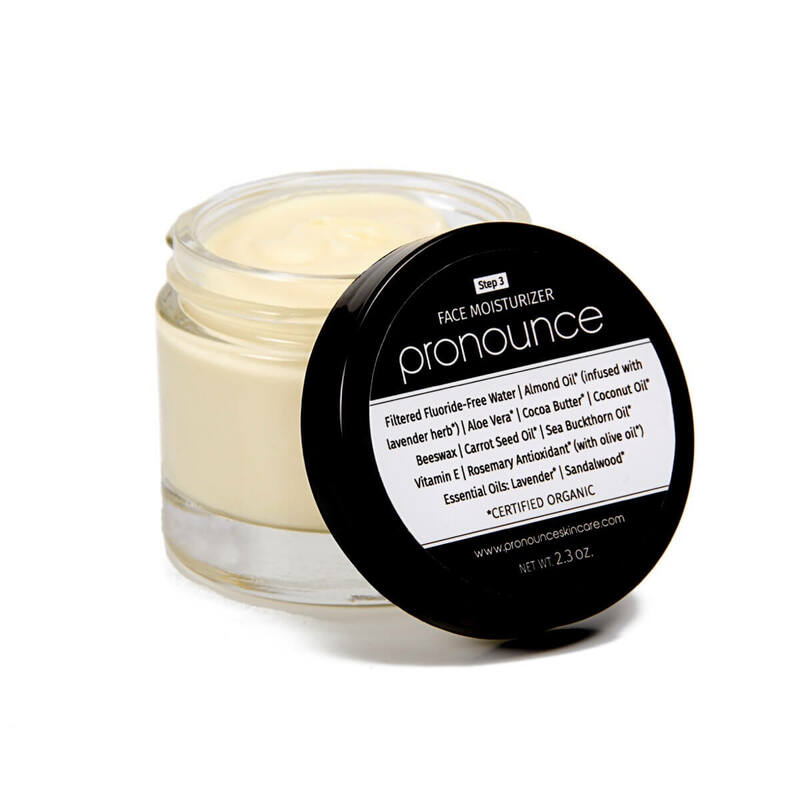 Yes, I appreciate and love chemistry (and have a minor in chemistry…which doesn’t really mean much…lol), but I steer clear of things in my skincare products I cannot pronounce or do not know what they mean. I do more research. I’m just leaving this one alone, as I don’t need to know, really. It’s not a necessary ingredient, that I know. Americans must choose between “chemical” sunscreens, which have inferior stability, penetrate the skin and may disrupt the body’s hormone system, and “mineral” sunscreens, made with zinc and titanium, often “micronized” or containing nano-particles. *This recipe is not a “chemical” sunscreen, in the way that people typically think of chemicals as being ‘bad’. *This recipe calls for a particular type of zinc oxide, and I advise you take heed–> Please, Please, PLEASE do NOT purchase inferior zinc oxide. 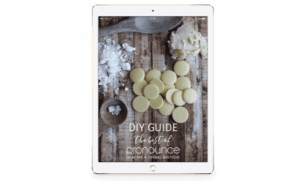 You want to make sure that the zinc oxide you purchase is non-nano AND is NOT coated.2 3 You can read more about zinc oxide at the end of this post (and I hope that you do). With THIS recipe, you do not have to choose between “chemical” sunscreen and “micronized” particles sunscreen. 65g Carrier Oil– I use organic and unrefined almond oil in this recipe, but jojoba oil or any other liquid carrier oil. You can learn more about carrier oils in this post. 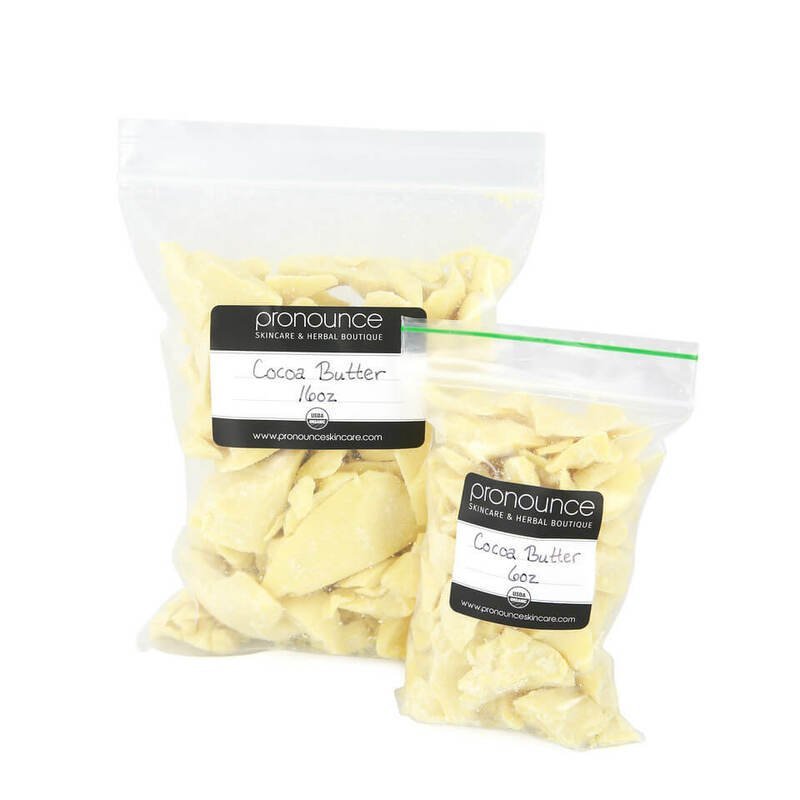 27.5g Shea Butter – Organic, unrefined shea butter like this. 40g Zinc Oxide – I suggest this non-nano, uncoated zinc oxide, or you can buy zinc from me in smaller amounts. 1/2t Vitamin E – I really like this Vitamin E; make sure you know from where it is sourced (& non-GMO), especially if you have allergies. Place your glass bowl on your scale, hit tare. 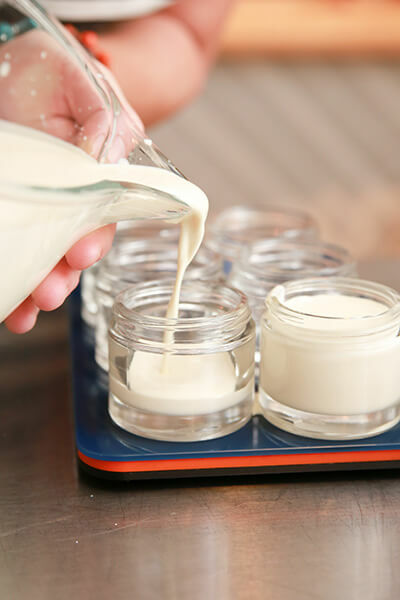 Add all ingredients (one-by-one, hitting tare in between) EXCEPT the zinc oxide, which you add at the end. Carefully remove from stove and wipe down condensation on bowl (you do not want H2O getting into your product). Add zinc oxide, slowly, until you get to 40g. Again, add this slooooowly, as the zinc settles the amount will increase on your scale. This will take a few minutes to set up. Just walk away and leave it alone to quietly set up. Want To Know More About Zinc Oxide? Because I use zinc oxide that is not micronized (meaning that the particles aren’t crushed into super small parts that enter our bodies), this sunscreen is like a thick, incredibly soft butter. It melts when it hits your skin and it rubs it in beautifully, but it is not thin and runny like other (‘bad’ chemical-filled) sunscreens. I actually appreciate this very much. I do not have equipment to scientifically measure levels of SPF, however, through all of the research I have done, I can tell you that my sunscreen is at least SPF 20, possibly higher. This is a broad spectrum sunscreen and will provide protection from both UVA and UVB sun rays. The recipe as written here contains approximately 20% zinc oxide (just slightly less, depending on how well you measure 😉 ). This gives you at least a 20 SPF. (Coconut oil has a natural SPF factor, too, so that’s a helpful addition to ‘up’ the SPF). How Does This Sunscreen Work & Feel AND HOW Do I Apply It? *Mineral sunscreens are different than other typical, toxic sunscreens on the market today. This recipe does not contain toxic ingredients that soak into your skin and provide ‘water proofing’. Mineral sunscreens like this do not penetrate your skin. They sit on top of your skin and reflect the sun’s rays. This means that you HAVE to reapply (generously) often. Just like other sunscreens, you should reapply this at least every hour. I add beeswax to this recipe, which helps it stay on in the water, but like many other sunscreens, it will come off with water play (and excessive sweating). For me, reapplying often is a small price to pay to decrease my toxic load. We are bombarded with toxins everyday. Things I can do to eliminate them, I do as often as I can. This is one thing I can do and can do successfully. Will this sunscreen make me look 'white'? No, it will not. At first, it will go on white, but once you rub it in and head into the sun it will melt onto your skin, feel nourishing (as it is! ), and will not appear white. Please, apply a generous amount of sunscreen. You WILL look white at first. Then, keep rubbing and it will dissolve into your skin. Will all of the zinc oxide dissolve when I'm making it? Mostly, but not all. You will likely have a little bit of zinc oxide at the bottom of your bowl. I do not add this into my containers (as it is a bit grainy in texture and will appear more white when applied), but you certainly can, if you wish. I have used pipettes to grab the leftover and put it into a lip balm stick for application on the face. I have also poured it into a separate container and use it on my toddler (who doesn’t care if he looks a little white) when I know that we will be out and about in the hot sun for a while. I want mine to be thicker (or runnier)... What do I do? Easy! Simply adjust the ratio of oils to shea butter. More shea butter will give you a thicker texture and more oil will give you a more runny texture. That said, I think that the ratios provided in this recipe are pretty spot-on (for what I like, anyway…but we all have different tastes and desires). Adding 25g of zinc will still give you excellent coverage, but it will be thinner for an easier application. I wouldn’t add more than 40g of zinc…you will likely be pasty white and the sunscreen will be pretty thick. That zinc oxide is cheap, but the shipping is expensive (and there's a fee)! Help!? I recommend New Directions Aromatics for zinc oxide, as they are the best I have found. No, I do not have an affiliate relationship with them… it’s just the best quality I have found and what I trust for my own family. That said, they have a minimum order total of $100 to avoid a $20 transaction fee. If you aren’t purchasing $100 in total goods, you will be charged a $20 transaction fee (and their shipping is not cheap). So… yes, I can help. 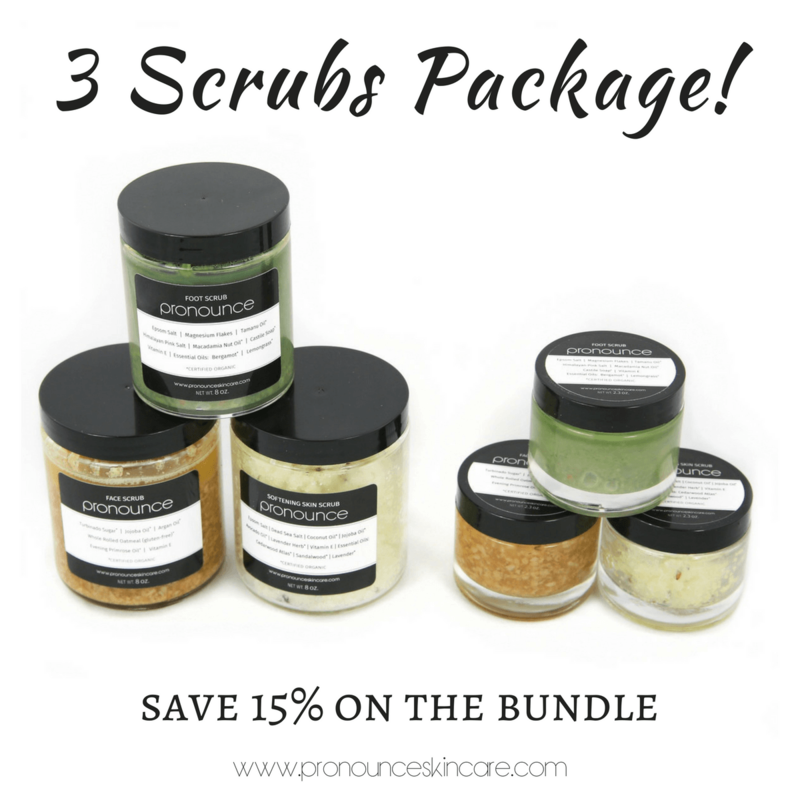 Please head over to my blog skincare shop to place an order. I ONLY want to help those who need a small amount to make this recipe or my foundation recipe. For large amounts, please order from New Directions Aromatics! Well, that is entirely up to you. I like glass, BUT if you are taking this to the beach or pool that may not be the best option for you. How long with this last? Great question. 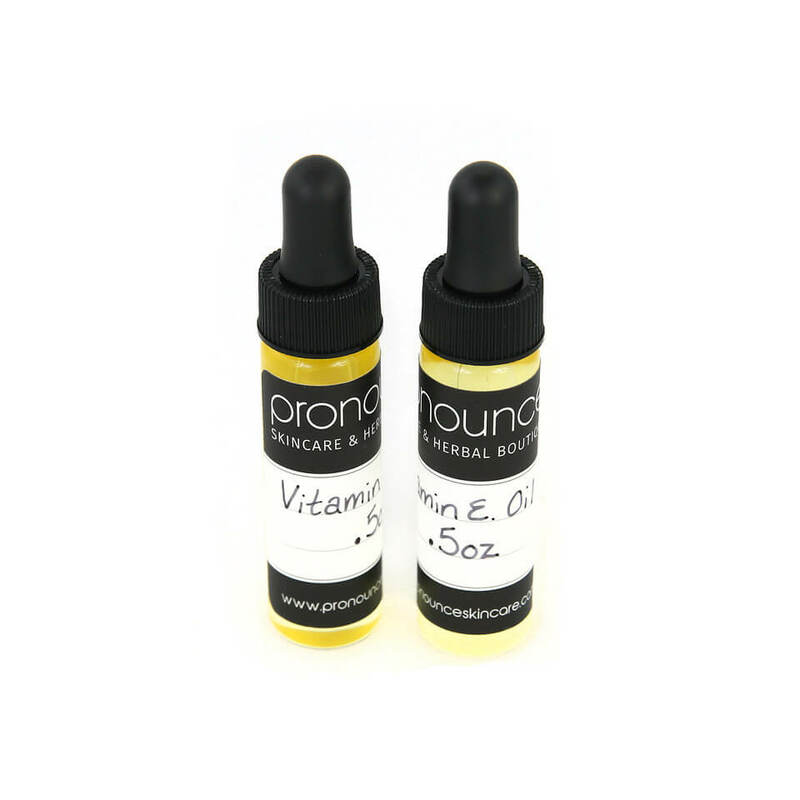 The Vitamin E gives it pretty good stability, in terms of preservative action. That said, you don’t want to put dirty fingers into your container, which will invite bacteria. Depending on the carrier oil you use, this will last anywhere from 6 months to over a year (or more). I store mine in a dark, cool closet. Also, you can place it in your fridge for even longer keep. Yes, it will ‘set up’, but will ‘thin out’ when you remove it. Mine lasts over a year. You’ll know it has gone bad by a funky smell. Who is ready to D-I-Y!? I Love This Recipe! Will you please make it for me? 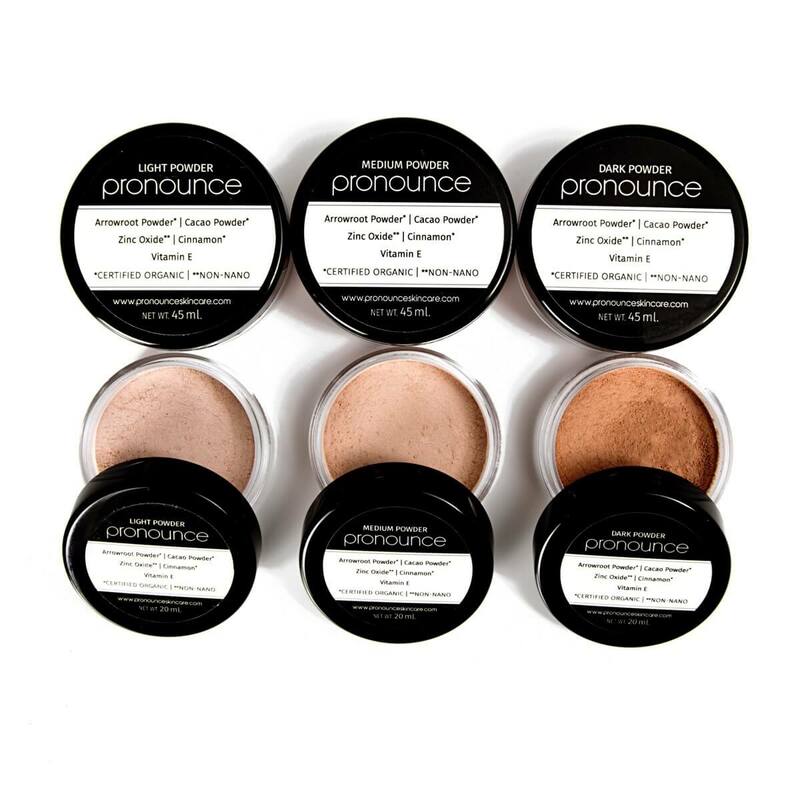 Head on over to my Pronounce Skincare Shop where I offer handcrafted SkinShade. *This is a homemade sun protection product. I am simply providing my recipe to you. I also offer SkinShade for sale in my organic skincare shop. That said, I have NOT had this tested in a lab, as that’s a pretty expensive endeavor (but am looking into it). Please, be sure to contact your doctor, naturopath, researcher, ND, etc if you have any questions and or concerns with anything mentioned in this post. I am not a doctor or PhD researcher (I only have a MSEd in Higher Education. I’m now just a crazy researching gal who wants to help my family and others in a more natural manner). This post was shared at: Tending The Home Tuesdays, Show Me What Ya Got, Weekend Re-Treat Party, From The Farm Blog Hop, Simply Natural Saturdays, Wildcrafting Wednesday. How cool! Never knew you could make your own sunscreen at home. I need to try this! Love all the clean ingredients. Hello! I would love to try this but was curious if you’ve ever used titanium dioxide in place of the zinc? My son has a topical allergic reaction to zinc oxide. Thank you. Hi Erika! Yes, I’m certain that you can make this substitution. That said, I have not done that myself and haven’t done any calculations to see if zinc and titanium are interchangeable in exact amounts, so you would want to do that research. Happy DIYing! I wonder if anyone used a substitute for the coconut oil? How many containers can you fil with the ingredients from this receipt? Hi there~ This recipe makes approximately 8 oz. Happy DIYing! I love this recipe. Do you mind if I share it on my blog? Feel free to share ingredients, but not the method (and no other text verbatim). Please link back to my site so there is an incentive for your readers to come to my site for my recipe…and not just you sharing my entire recipe with your audience. #bloggeretiquette 🙂 I’m glad that you love the recipe! What is the 1/2 t of Vitamin E? What do you mean 1/2 t? Thank you very much, I will try your recipe tomorrow. I wondered if you’d know whether the consistency of the sunscreen would allow me to put it into airless pump bottles. I prefer them as they’re easier to carry around, especially when headed to the beach, rather than jars and the company I buy ingredients and containers from doesn’t do squeeze tubes. Hi there. I have never tried it, but I am not so sure that there would be enough force to bring the SkinShade out of a container like that. It isn’t ‘crazy’ thick, but definitely cream-like. You can put the sunscreen into a deodorant container. Add a bit more beeswax and pour into container. Doesn’t get all over hands, but doesn’t change effects. this is AMAZING. question: can i use all coconut oil instead of using another carrier oil like jojoba? 🙂 Why, thank you! Honestly, coconut oil isn’t as liquid as jojoba and I’m not so sure it would work. You can learn more about carrier oils here. I hope this helps! I made this with coconut oil as the carrier. It works perfectly. Hi! I just discovered your website. I have tried my hand at several diy face products the past months because my face skin seems to become more and more sensitive. I almost always get breakouts and seem to have rosacea. Problem is I can’t find anything to protect my face from the sun (except for a big- rimmed hat or balaclava ????). What carrier oil would you recommend I use in your recipe? Almond oil is great. 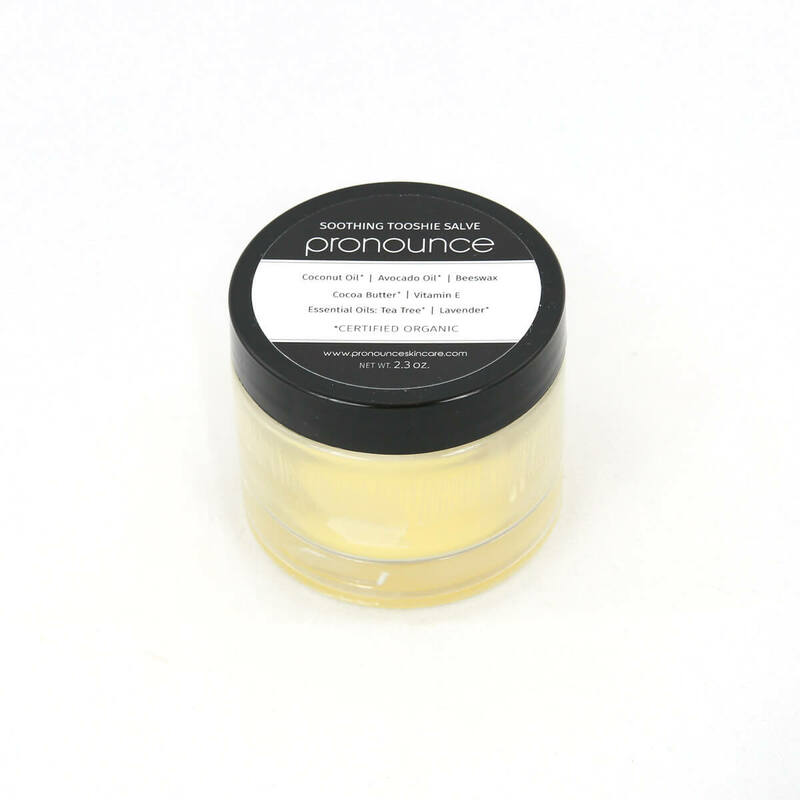 You can learn all about carrier oils in this post here on Pronounce! i did the sunscreen las night and it seems wonderful. I just have a concern about the zinc oxide because i red that it might be toxic. What can you tell me about it? Hi there. I believe that it is one of the safest ways for humans to get protection from the sun, when used properly. Never use it in a spray form. Always get non-nano zinc. Always reapply every hour or so. I hope this helps! You can look in the EWG database to learn more about zinc, if you like. Hey FYI – Beyond loving this recipe for how my skin feels in the sun, I have started using this as a daytime face moisturizer to put on before makeup. I don’t know why or how, but my face feels amazing, and the pre-menopause acne that has been tormenting me for the past year (fingers crossed – seriously, I NEVER broke out this much as a teenager, wth??) seems to be on the way out. I’ve tried to use other coconut/shea butter lotion concoctions, and they’ve exacerbated the acne. I think the zinc/almond oil is the magic. I haven’t had a chance to vacation sun-test this yet (I live in Chicago) but so far when I’ve applied this for working outside on the weekends, no burns. All good. THANKS!! Hi. I made this recipe, but I added all the ingredients at once, even the zinc oxide… Is it still good? I made this recipe and it was great, love it! I decided to try a batch for a facial moisturizer by omitting the bees wax, but it is very runny and wont set at all. Is the bees wax the main ingredient that makes it set up? My biggest reason for using this product is that it won’t burn my eyes when I sweat or face gets wet and the sunscreen may drip into them, and is completely safe for babies. I gave the sunscreen to a young lady who was blond, blue-eyed and does not tan. She spent the entire day hiking, out in the sunshine, and only got pink!! Absolutely no burn! Very impressed with this product, and I am positive that it is more than 20 SPF. Four thumbs up (toes included) !!! First off THANK YOU for this recipe!! I’ve been making it for 3 years now and LOVE it! I share it on FB and with friends all the time! Love that the recipe gives the weight of the ingredients to know I’m getting it right! Question, I think this has been asked before but there is a decent amount of zinc left in the bottom when I make it and I whisk for what seems like forever 🙂 does that significantly lower the spf? Would anymore “dissolve” if I add more to up the spf? Thanks in advance for your reply!!! Yay! I’m so glad that you love it, too! You will always have a bit leftover…that is normal. You can bottle it separately for a higher SPF, I suppose. I just toss mine. Seems wasteful, but I don’t need that extra SPF ‘umph’. Thanks for sharing my recipe with your friends and family! Hi! Do you think olive oil could work as the liquid carrier oil? Although it isn’t one of my favorite carrier oils, it sure would work. You can learn more about my favorite carrier oils HERE. Happy DIYing! Just wondering how long the sunscreen is good for. Is there a suggested expiry date? Hi there! I have never had a batch go bad. It would smell ‘off’ &/or look funny. Just use clean hands to apply and don’t get water into your container and your sunscreen should stay good for a long while. Happy DIYing! Thank you for posting this recipe. I got all the ingredients and made some. It works very nice so far and made my skin feel wonderful. I gave some to my friends for a present. I have also made your foundation and powder recipes. I ended up giving the foundation away too since some things are too nice to keep for yourself. I will have to make some more. I wish you the best. This would be safe to use during pregnancy right? Yes, but if you have questions be sure to check with your doctor or preferred practitioner. I just want to say thank you so much for this recipie! This sunscreen has been my gateway into the amazing world of DIY products. I live in Austin Texas, the sun is very intense here, I have to wear sunscreen almost everyday because I love being outside. Before using this sunscreen I was buying the typical garbage full of everything bad and that stuff is expensive! I have now probably spent way more on ingredients than I ever would on pre-made products but I’m having so much fun! I’m making everything from laundry detergent to lip balm but the sunscreen is my absolute favorite. I will always make this recipie because it’s the best, sometimes I use it if I don’t have a moisturizer around. Thank you for sharing your recipie, I appreciate it so much. Hey – wondering if anyone has tinted this suncream with cacao/cinnamon at all? (Like the colorants in the DIY Foundation.) I’m thinking it would be a nice way to protect and color my lower legs in the summer! Hey what is the measurements again on the Vitamin E wasn’t sure what 1/2 t was . I have recently started making my own skin care products when I stumbled upon your recipe. I made it today and I have to say that I’m more than impressed. Thank you so,very much for sharing with us. I’ve been using this sunscreen for over a year and I am so in love with it. I feel good about putting t on my babies everyday, something that I struggled with when using conventional sunscreen. I’d weigh the risks every time I put it on my family…is it wors to be absorbing this garbage or burning??? But my youngest burns so easily and I’d always end up slathering the possion on his sensitive skin choosing the evil of the lesser evil. This has changed my life, and hopefully the future of my babies too! What a wonderful healthy, green and natural alternative to conventional sunscreen. I’d love to use this for myself! I am so delighted that you shared DIY Sunscreen recipe with us at Local Markets ~ Frugal Spoonie Friday with us at the Healthy Happy Green Natural Party! I’m Pinning and sharing this! Yay! Glad you are giving it a go. I’m sure you will love it. And no…it’s a-okay that you added it then. The most important thing is that you added it! 😉 Hooray for DIYing…enjoy your healthy new sunscreen. Hi dear…please how do i get this in Nigeria. I am in need of a healthy sun screen. 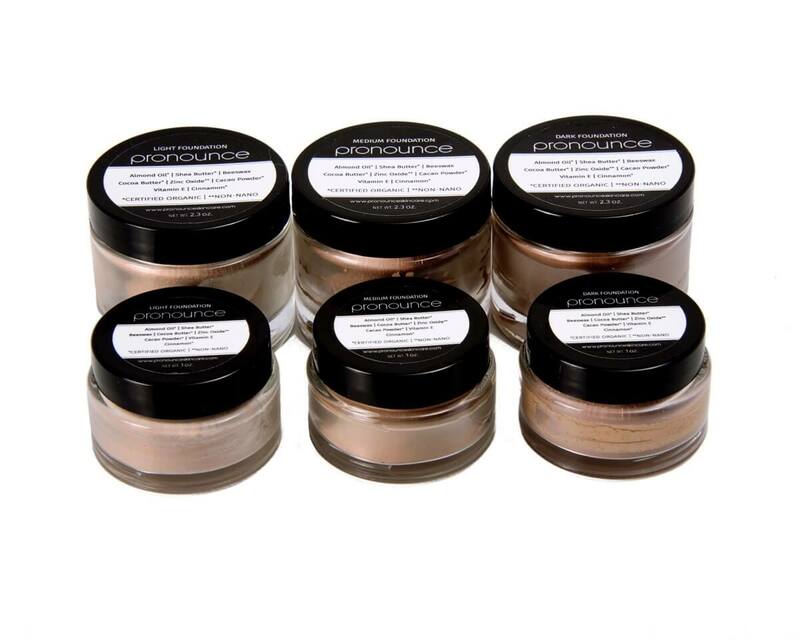 You must be looking for handcrafted SkinShade Lotions, for sale in my online shop HERE. I ship all over the world! Fabulous. The consistency is amazing and the results are too impressive to ignore. I’m a soapmaker so had everything to hand….and I live in a ski resort in France so we are at about 2000m…ergo..a need serious sun protection. Even better, your recipe is a 3 for 1…broadspectrum Sun protection..the beeswax gives it a bit of water resistance (or snow)… and the Shea and coconut nourish our skin against the harsh French Alps winds. I will never use commercial sun protection again. Hello. I am thinking of making this diy sunscreen. Is it a lotion consistency or a firm balmy consistency? Trying to decide if I shoukd put it in a little glass jar or a tube (which I think would be more sanitary but then I cannot keep an eye on it to see if it goes bad) what do you suggest? Also, if I use cocoa butter instead of shea (do not like the smell of shea) could it still go in a tube? What do u suggest. I offer my SkinShade for sale in a tube and it comes out just fine. Just make sure the opening of the tube is a larger opening and you should be good to go. As for using cocoa butter, it will likely be more solid…so I can’t say that it would come out of a tube well. But, I haven’t tried it that way. If you do, let me know. Happy DIYing! Nope, you’ll be a-okay…just so long as you weren’t boiling anything! I accidentally added the zinc oxide before cooking. I don’t have the ingredients or time to make another batch, and my son has an allergy patch test scheduled for this morning. I was wondering if this is still safe to use. I’m guessing you don’t want us to cook it because of the fumes and not because of what it does to the zinc. I’d appreciate if you could let me know. Thank you! Hi Stacy. Sorry I didn’t get to your comment sooner! Yes, you should be just fine! As long as you weren’t boiling things you’ll be a-okay. Hope the allergy test was insightful! oh right thank you so much i’m going green with my beauty products this is the first one i’m making. i’m also getting sugar completely out! could i use 0.25 oz of raspberry oil to replace some of the jojoba oil I want to use? Because I have acne (severe) prone skin. could I mix all 3 for the carrier part to combat acne? rasberry seed oil, Tamanu oil, and jojoba? to be used as carrier? I’m pretty sure you meant “benefits” so I’m sorry if I’m wrong – but it does leave your skin moisturized, as well! Hey I thought all your recipes did NOT have water in them. All your statements up till 8/7/15 were to not add water.. Now I see you list mens spray with half water. What NOW you changed the rules? Well, the recipe to which you are referring is a spray for the face. That is completely different. If you prefer, feel free to sub the water in that recipe totally with witch hazel. I missed the direction to wait on adding the zinc oxide and unfortunately added it with all the other ingredients so it was in the double boiler too????. Did I just ruin my batch? Thanks for sharing and answering all our questions. Sorry for the delay! Nooooo, it should’ve been just fine. Did it turn out for you? After reading all the great reviews I decided to give the recipe a shot. I followed everything as instructed by the recipe. The only thing, the smell is a bit intense. It is mostly the smell of the shea butter (which just arrived in my mail today and I purchased from the suggested source). I have to admit that this is my first diy experiment so maybe I was surprised by the smell. From what I am reading most people are liking the smell of it so I wonder if my shea butter is not is good shape (expired maybe) or if it’s just me simply not liking the scent. In any case would it be ok to melt it again and add a few drops of essential oils (it would make it probably a bit more runny and reduce the spf a bit but I don’t mind as long as the smell is something I can bear)? Hi there. You know, I have purchased my shea butter from MRH for a very long time. Recently, it is arriving with a stronger smell. I totally trust MRH, 100%. I’m wondering if things are melting down before they arrive to MRH (in transit) or as they are in transit to me? I’m going to follow up with them on this. Either way, I totally trust their products…and you can rest assured that they always supply the best in organic, sustainably-sourced raw materials. And yes…you can absolutely use your double-boiler to melt it down and add some EOs. Just make sure you use ones that aren’t phototoxic (like any citrus oils would be). Hi do you have a standard recipe instead of metric? If not how do you convert them? So sorry. For DIY recipes like this, you must use a scale to get an accurate product. I recommend a great scale in the recipe and it’s quite affordable on Amazon here. I think you’ll find that it’s a nice compliment to your DIY arsenal, and in the kitchen, too! I’ve also made my own following your recipe, except i also added 1 tsp of Red Raspberry Seed Oil and 1 tsp of Carrot Seed Oil to increase the protection factor. And turn out a great cream. My question is that after the sun cream cooled off is it OK to reheated. i used a 200ml jar to store the sun scream and now i want to transfer in smaller tin can. Hi there, I live in Miami FL and am way too pale to live here. I hated sunscreen growing up, it was sticky, got in my eyes and was DISGUSTING. As i got older (fearing skin cancer) I bought 100 spf commercial sunscreens and applied religiously at the beach. I spent a week at a beach house applying these sunscreens constantly, and by the end of the trip I was bleached white. I have never looked so pale in my life and was so confused because my skin hurt like a sunburn. After some research I came to the conclusion there may have been bleaching agents in the sunscreens I was using. I decided to then go the DIY route and ordered a sunscreen making kit online. After making my first complex DIY (which said to put the zinc oxide along with the other ingredients IN the double boiler) it hardened and was not applicable and an immense waste of money/tools which had to be thrown away. I then found this recipe and decided to give it one more shot. Hi Victoria! <3 Your comment just made my day. Hearing feedback like this is exactly why I do what I do. I'm so sorry that the first kit was a bust, but so happy my recipe worked so very well for you...and you got some color. Great! Thanks again for the wonderful feedback. Love this blog! I’m new to DIYing and you are inspiring! I can’t wait to make this and was wondering if I can use some Sea Buckthorn (from the berries)carrier oil to make it appear less white on the skin? Hi! I have most of the ingredients to make this. Super excited! I am not able to open the link to purchase the zinc oxide from you. Can you help me? Can I use this on very young children-under 2? Hi Lynne. Great question! I have been using this on my son since he was just under 1 year old. Works like a charm. He’s now going on 4 and we have never had a burn. With vigilant reapplication at least every hour, your LO should be good to go. Now…that said, if you have any questions please check with your doctor, naturopath, etc etc etc. Also, if babe has any known allergies, just make sure you take that into account when DIYing or purchasing SkinShade from the shop. Hi Sabrena. So sorry, I do not do recipes like this by cups, tablespoons, etc. It is not the most accurate way to DIY products like this. You could search and see if you can find a site that will do the conversions for you, but even then…they may not be accurate. So sorry I can’t be more helpful. Since I had no scale available I did convert your recipe into “spoons” (I could not wait to try the recipe) and it turned out very well. It took about a day to set properly; feels wonderful and the white disappears very quickly. I had tried another recipe before which my husband really liked but he gives your sun screen big thumbs up. Thank you so much for sharing. So as long as me make this according to your recipe, and we reapply every hour or so, it works just as good as chemical sunscreen? I live in France and I wanted to try this I was hoping that you can send one of this to me. I actually have the most horrifyingly sensitive skin ever. Whatever I use, as soon as I go into the sun with it my skin just gets burnt in the sun. Lately I have even stopped applying any moisturiser. I so want to try your suncreen. Would you be able to send one to me? And if so, how much would it cost please? Is this recipe grainy in any way and whats the obsorbtion like? Is it waterproof? How often would you have to reapply during swimming? Hi Jennie. Thanks for stopping by. 🙂 Just like other natural and non-toxic products of this nature, you should reapply this at least every hour or so. I add beeswax to this recipe, which helps it stay on in the water, but like many other products like this, it will come off with lots of water play (and excessive sweating). Thank you so much for posting an all natural sunscreen recipe! I’ve been looking for a recipe like this for ages. I’m thinking of making this with cocoa butter instead of shea butter. Will it be all right to use on my face, or can it cause breakouts and clogged pores? Hi Linn. Thank you, and you are welcome. 🙂 I have had zero issues with breakouts and I use it on my face, hubby’s face, and our little one’s face. Happy DIYing! I can’t wait to try making it after I receive the non-nano zinc oxide from you. 🙂 I always used the healthy, safe sunscreen from the store but it is nice to make it myself using the ingredients that I buy. I can also scent it so that my children will like putting it on. I know not to use citrus essential oils though. 🙂 I will let you know how it works out. I love your page and had a few questions about the Canadian regulations as I would like to sell my own. I thought sunscreen was considered a “drug” in Canada. Is it hard to get it approved of you make it yourself to sell? Thanks so much! Hi Patricia. Great question. I sell SkinShade, not sunscreen, and make no claims on the product. That said, I am in the process of having my product tested by an outside laboratory for SPF rating, etc etc etc. Have you ever used Bulk Apothecary? What is your opinion on their products? I have ordered from them and am happy with what I received. The zinc oxide is non-GMO. Hi Fawn. I have ordered a few things from them and have been happy with quality, service, etc. Zinc Oxide has no genentics to be modified. It is never GMO. Right you are! It’s a naturally occurring substance in our Earth. What you want to look for is non-nano, not micronized, and uncoated. GMO means nothing with zinc. In my organic skincare shop you’ll find products using the best zinc oxide, and even zinc oxide for sale, too. I read that you are not allowed to sell any products labeled “SPF” or “Sunscreen” as per the FDA unless they have gone through expensive, approved testing to verify. Just wanted to let people know that. Hi Cara. Thanks for your note. I sell SkinShade, not sunscreen, and make no claims on the product. That said, I am in the process of having my product tested by an outside laboratory for SPF rating, etc etc etc. I am also in the process of having all products certified organic. Yay! Also, I was wondering if this could double as a diaper rash cream? I have been known to use this on my son’s bottom before, so yes…you most certainly can. Overall, though, this was a great option for us when he was in diapers. The DIY Soothing Tooshie Salve is perfect for baby’s bottom, as well as any other rough spots, sensitive spots, boo boos, etc. Pretty versatile! Is this recipe solid enough to put into a deodorant container? Great question. Yes, I believe so. That said, I would not leave it in the hot sun, esp turned on its side, as it *might* melt down and spill out. But…yes, I think it’s solid enough for a deo container. I’m relatively new to DIY products. Everything has worked so far… I couldn’t see an answer to whether essential oils could be added and I’ve just made this and used my hand blender but the mixture was quite thin. I followed the recipe and used g weights for the liquid measurements, as in I put my mixing jug onto the scales. Was that correct or have I messed up? Love your recipes! Cem (Gem). Hi Cem. Sorry to get to your comment late. I hope that it set up nicely for you? And yes, you can add EOs. Just make sure you aren’t using any EOs that become phototoxic in the sun. Have you tried this recipe on children? I have a 2 1/2 year old and a newborn and I want to make sunscreen for them. Just wondering if you would do anything different if using on kids? THANK YOU!! Yup, I have used this on my toddler for a couple of years now (he’s now 3.5 yrs old). Just makes sure that you reapply often…at least every hour. Thank you for such a great recipe! I recently made this and used it in Mexico for 8 days. We came home from spending long (4+ hours daily) days at the beach without any burning! I was very rigid in reapplying often on my kids as they were always in the ocean or the pool. It wasn’t till about the last full day we were there that I noticed the perfect warm summer glow on their skin 🙂 Thank you!!! I do think I would like to make a few changes next time to reduce some of the white left on the skin from the zinc. I was thinking I could use red raspberry oil as the carrier oil since it has a high SPF and knocking down the zinc oxide to about 25g? Maybe even adding some carrot seed EO to it?Do you think these changes would make it less pasty but still just as effective? Would love to know your thoughts on that. Yup, those are all great ideas. Using a higher SPF carrier oil to replace some of the zinc is a great idea. Just make sure the ratios don't leave you orange &/or reddish in hue from too much of a colored carrier oil. I have added carrot seed oil to my personal container before and have enjoyed it. Happy DIYing! you mentioned you can help with the small quantity of zinc oxide by using your link but that link seems to be broken. can you please tell me how do i get this small quantity of zinc oxide? Oh no! I didn’t realize that I had a broken link. I’ll have to look for it. Yes, I do sell a small amount here for people who don’t want to place a minimum $100 order with the supplier I use. sounds like a great recipe…I wish I could use it but I can’t do anything with beeswax. 🙁 I’ll have to keep looking for a DIY sunscreen without it, or keep paying through the nose. I enjoy reading through your recipes and they get me interested to do more of my own research. Thank you. Just made this and the texture and creaminess is perfect for use on my body. I’m new to DIY projects and have had a lot of disasters in the process but this one was so easy! I would not use this for my face though as I am pretty tan and this leaves a thin white film on my face and I don’t like the feel of thick creams on my face. However, I do think making another batch with less zinc would take care of that problem and making it a little runnier with more oil in order to be used on the face. Hello! This is exactly what I was looking for and it sounds absolutely WONDERFUL. However, I tried to click on the link to buy the zinc from you and the link didn’t work! Is that no longer an option anymore? Interesting! Yes, I am still offering zinc for sale in the shop HERE. Hi, thanks for the recipe…may i know is the criteria for safe zinc oxide that you mentioned is applicable to titanium dioxide as well? coz i’m using titanium dioxide for my spf. any difference between the two? Hi Zie. My apologies for the late response. I do not have much knowledge re: titanium dioxide. Sorry! Hello, I love all your Diy stuff. But I have a questions, since there are no preservatives in any of the ingredients of lotion u make like the whipped cream recipe, is there any problem of it molding? Thank you. 🙂 So long as you do not let water enter your DIY creations, you keep them sealed tightly, all utensils are clean and sterilized, and you do not contaminate them with dirty fingers, your goodies will last longer than you might think. Can you use cocoa butter instead of shea butter? Would this change affect the texture or effectiveness of the sunscreen? Yes, you sure can. Cocoa butter is generally a bit more hard than shea butter, but for this recipe they should be pretty interchangeable. If anything, I’d add just a small bit less cocoa butter and see how it sets up. If you don’t like the texture (if it isn’t hard enough with adding less cocoa butter), you can always melt back down over your double boiler and add more cocoa butter (but you can’t take it out…if that makes sense). Happy DIYing! Yes, most definitely! I’m curious…what is the brand of coconut oil? I’m having DIY crushes on you! Thank you for the share!! was so excited to try your sunscreen recipe. i was diagnosed with skin cancer last year and i’m quite certain it is all the chemical-laden products i was using that did it and not the sun at all. i have since begun making all of my own health and beauty products (many from your site). my question – the sunscreen looks white in the container, but when i dug my fingers into it for the first time it had a yellowish color to it. is that normal? has it gone bad? can i use it? So sorry to hear about your skin cancer. I’m hoping it is gone. Yup, it does have a slight yellow-ish tint…totally normal. It’s the oils in the recipe. Good for you ditching the chemical stuff. Happy DIYing! The cancer is gone, thanks. Just hoping it doesn’t pop up somewhere else. Glad to hear the yellow tint is normal. Are there any other oils I could use other than coconut oil? Hi! I have made this sunscreen, and would really like for it to work. The thing is, I am on acne medication (accutane) and so far all I have done is burn. Would you recommend re-melting this down and adding more zinc, or should I not use natural products while on the meds? Thanks! I would like to know if the Vitamin E for this DIY sunscreen is 1/2TABLESPOON or TEASPOON? 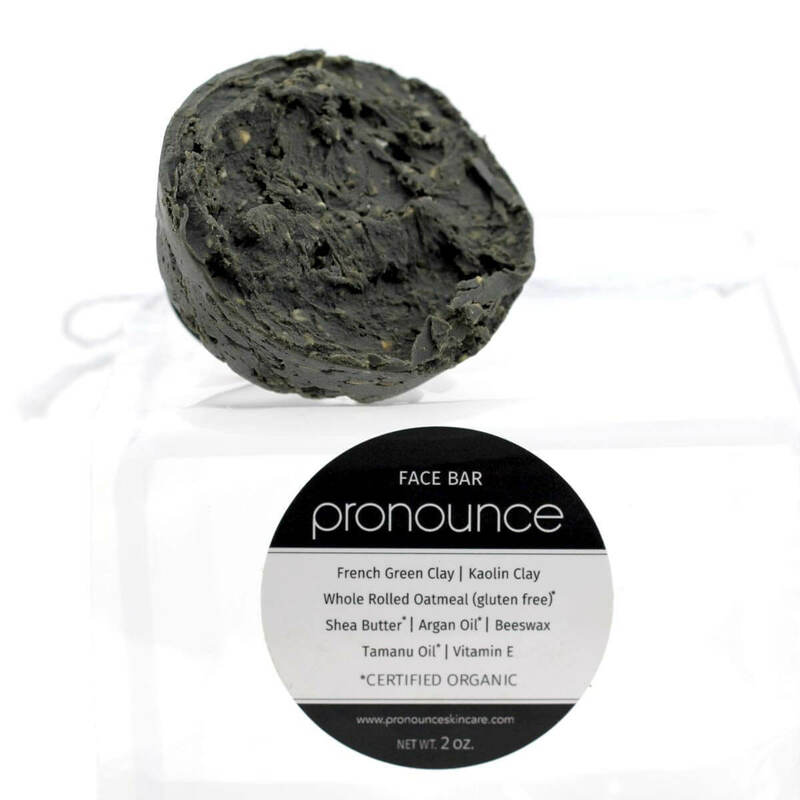 Hi There – I make my own soap and as such, have looked into labeling issues [what is a cosmetic vs. a drug etc] quite extensively. If you’re selling this as sunscreen, wouldn’t you have to have it lab tested when claiming that it has a SPF of any value? In addition, sunscreen as per FDA falls under the “over the counter medication rules – so unless you had your formula approved by the FDA, you’re in massive violation and put people’s skin at risk. Don’t get me wrong, I’m all for using natural products and to avoid toxins in day to day live and the products I apply & eat but how do you guarantee that your lotion protects from sunburn if it’s not tested? If you want toxin free sun screens – there are plenty of versions on the market – why risk skin cancer because you DIY’ed this? Hi Kat. Thanks for your note. I sell SkinShade, not sunscreen, and make no claims on the product. That said, I am in the process of having my product tested by an outside laboratory for SPF rating, etc etc etc. The FDA will be next. I am also in the process of having all of my handcrafted products certified organic. Yay! If you do not wish to DIY this and would rather purchase something over the counter, go for it. I have used this on my family for 3 years…never a burn. But, again…if you feel this isn’t a recipe you want to try, then please don’t DIY it. I just made this sunscreen in a 7x batch with a bunch of natural mommies on a DIY night! We added lavender and geranium. It is AMAZING!! So smooth and the added essential oils added to the lovely smell. I am so impressed with the zinc oxide and feel great using it on my family. Thank you for sharing this recipe. Thank you so much for posting this! I have wanted to make my own sunscreen for years, but honestly, I’ve been afraid to commit in case it flopped. I have been using Badger brand, but I am pinning this, and will definitely be giving it a try. Thanks! I was thrilled to see this recipe. I did my research- and a LOT of it before choosing your recipe. The claims and personal story sold me. I purchased all the products you recommended- down to the scale, squeeze bottles, and zinc oxide you suggested. This was quite an investment, but I knew it was wise because these supplies and the scale would be used every time I made a batch of this sunscreen. I ordered all the supplies from amazon- exactly the ones recommended and received them all 2 days later. I was so excited that I got straight to work! My husband finishes a degree in chemistry next semester so I had him help to make sure everything was mixed and weighed properly, as I have never used a recipe measuring in grams. When we finished the recipe it filled all 3 of the small squeeze bottles that you recommended and I was thrilled with the smell, texture, and overall product!! Well, today (2 days later) we all used it for the first time. It went on smooth and was white just long enough to see that it was being applied everywhere. Then quickly “melted” onto our skin and felt great. We lathered it on thickly (especially on our 3 kids)as I wasn’t sure what to expect as far as protection. One of my children has fair skin that burns fairly easily and the other 2 never burn with even a light spraying of store bought sunscreen. We swam for 4 hours today. We re-applied twice, making the kids stay out of the water for 5 minutes each time to allow the sunscreen a chance to dry. Up until this point of the story, I could NOT have been more pleased with this recipe/product. My children, all 3- even the 2 that don’t have fair skin, and my husband and I are ROASTED. We are all severely burned. I am applying aloe to my kids and finally decided to break from that long enough to write this review. 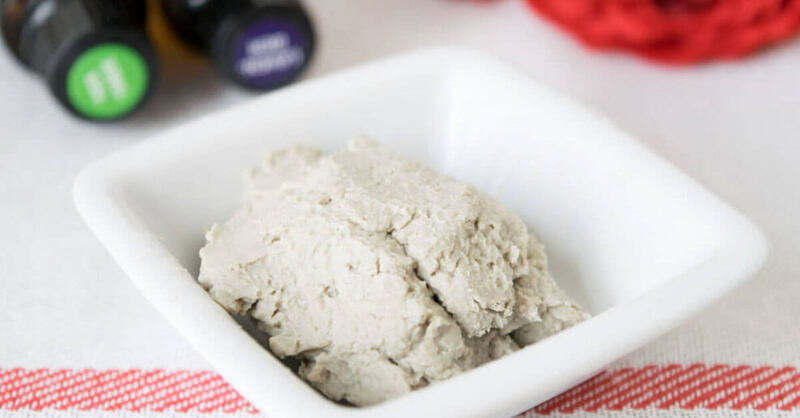 I will attempt to make this recipe again and add more zinc oxide, only because I have already invested so much in all of the ingredients and materials. But I will only be trying it on me next time until I see if it actually works. I am horrified that I followed this recipe exactly (with help from my chemist husband to ensure that the error wasn’t with me), re-applied as indicated, and have allowed my children to be so severely burned. We live in arkansas so the sun is intense this time of year. I invested in these products to try to do something healthy for my children, and instead have allowed them to receive a horrible, blistering burn. My children are 2, 4, and 8. I took pictures of their backs and tried to post in this comment section but was not able to. I will gladly send you the picture if you would like to email me at the address I provided. I don’t write this to complain, because the responsibility lies with me in trying this product, but rather to inform people that this is not comparable to even a very low spf store-bought sunscreen- even re-applying will not prevent severe scalding burns. I have fair skin and am extremely burned as well. My husband has very tanned skin that doesn’t burn easily. He is the least burned of us all but still got the worst burn he’s had this year. I know that many of you saw this comment, as I have received multiple emails re: this comment. ***First, I did not delete it (as has been suggested many times). All of my comments are now approved before being posted (I have been hit with a TON of spam over the past couple of months, which happens often to bloggers). This comment has simply been awaiting approval by me. Second, I have been chatting with Morgan re: her comments. Please know that this has been a learning experience for both of us. I will be updating my post with greater information to help you succeed with your natural organic, as it needs to be treated differently than regular, toxin-filled over-the-counter sunscreens. Below is our email communication, verbatim. I will be updating this post with new information soon. I am out of town visiting with my parents today. Thank you for your comment on my DIY sunscreen post. First, please know that I do take your comment very seriously. It is currently pending approval so that you and I can work through some of your concerns, which are incredibly important to me. Of course, I feel terrible that your family was burned. That said, I think that we can work through this together. 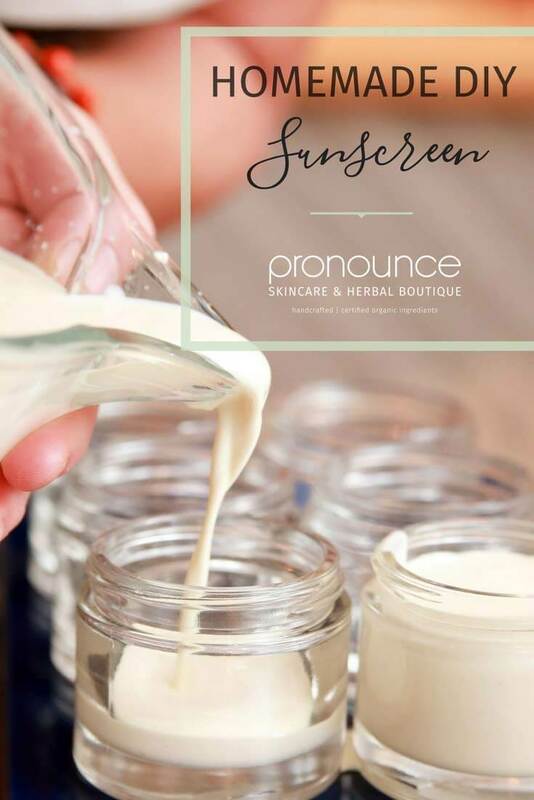 I stand behind my sunscreen recipe, as I have been using it on my family for over a year and many DIYers and customers have also had great things to say about it. But…I do have a few suggestions AND you have given me some much needed feedback for me to add into my post, in terms of education for natural sunscreens. First, it does sound as though you purchased the correct ingredients, since you purchased the same ones as me. That’s an important start. It also sounds as though you had some help in measuring and creating, which is great! I have a minor in chemistry, but went away from that path in my graduate studies. What will your husband do with his new chemistry degree? Second, from your complimentary description of my sunscreen recipe’s feel, it sounds as though you got it right. That said, I have to ask that you are absolutely certain that you did a LOT of whisking. It is important to ensure that the zinc gets dissolved as much as possible. I am thinking that you did, so that is also an important step you likely followed correctly. Now, let’s move into the brainstorming process. One thing to note with natural sunscreens is that they do not contain the ‘bad’ chemicals found in most over-the-counter sunscreens, which really is a good thing! I know that you must be like me and try to avoid contact with as many unnecessary toxins as possible each day. This is important for our health and for the health of our families. Most over-the-counter sunscreens actually sink in and penetrate our skin. I don’t want that, and I’m guessing that most naturally-minded individuals don’t want that, either. Sunscreens like my recipe (and other organic and natural sunscreens you find at stores) will actually sit on top of your skin and reflect the sun away…that’s the zinc hard at work. They do NOT sink in. This means that reapplying the sunscreen often is imperative. BUT…before we get to reapplying, I want to talk about how much you applied. *As with any sunscreen, it is important to apply the correct amount…and apply enough. Mineral sunscreens like mine are thicker than chemical-laden sunscreens and can be somewhat harder to apply. People typically apply far too little of mineral sunscreen (and too little of over-the-counter sunscreens, too). Just to drive the point home, “…applying half the amount of sunscreen you should use provides only the square root of the SPF, so a half application of SPF 30 only gives you an SPF 5.5” (Badger sunscreen website). *When applying a mineral sunscreen you need to make sure that it goes on quite white to start (visibly quite white) and then becomes much less white the more you rub it in. You mentioned applying it to where it was white, but it needs to be quite white so you know it is there. I do this before I arrive at the pool, lake, or beach AND then apply again once I am there. *As I state in my recipe, it is important to note that while this does have some water resistant properties (due to the beeswax), it WILL come off in the water or with excessive sweating. Remember, this mineral sunscreen (and all other mineral sunscreens) sit on top of your skin and do not penetrate the skin with chemicals. They are meant to reflect the sun’s rays. So, with water play and excessive sweating, you’ll want to make sure you reapply often (at least every hour or so). Oh…it’s worth noting, too, that this type of sunscreen can also come off with towel drying, clothes rubbing, etc, since it simply sits on top of our skin and does not sink it. ***Apply more mineral sunscreen than you think you need, especially since most people do not apply nearly enough sunscreen (even the chemical-laden ones). Reapply often, as natural, organic, mineral sunscreens do not penetrate the skin; they sit on top of the skin and reflect the sun’s rays. 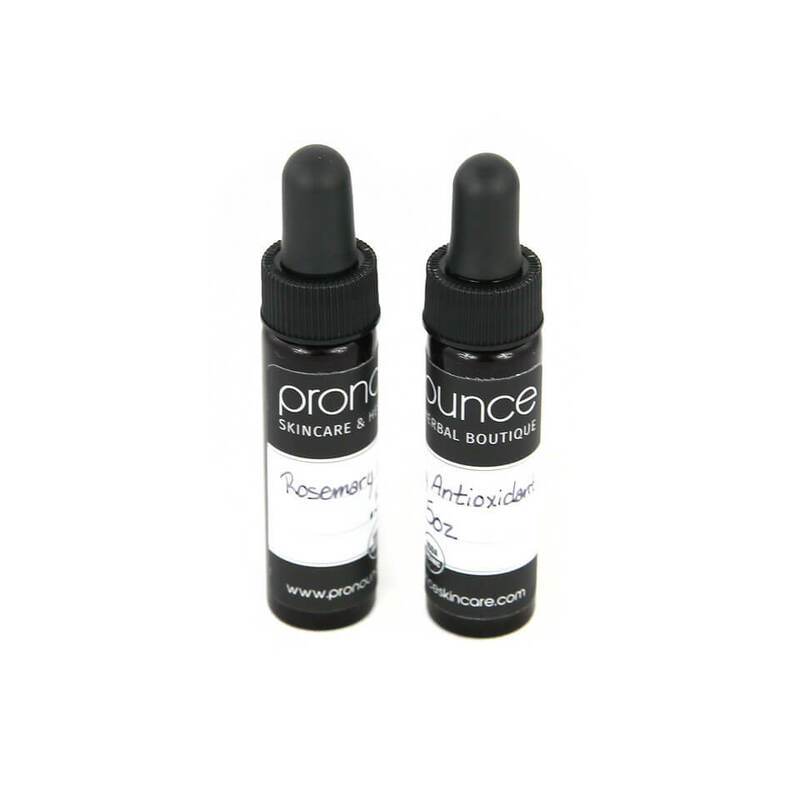 Reapply even more often if you are in the water &/or doing a lot of sweating. For a four hour day involving water play, I would have applied at least 4 times. ***I do stand behind my sunscreen recipe and the products I sell in my shop. BUT…I think that your unfortunate situation brings some critical points to light that might not be as understood by all as I might have originally thought (and I might not have been as clear in my post as I meant to be). I will be updating my recipe and product listings with the information I have provided to you here. ***Meanwhile, I do hope that you will try the sunscreen again. You bought everything you needed for the recipe and I know that it works. I am here to support you with your endeavors in decreasing the toxic load on you and your family. I understand not wanting to try it again on your children right now. I think I would be afraid to do so, too. I encourage you to try it on yourself. I’d like you to apply more and apply more often. I believe you will be pleasantly surprised. Finally, after receiving your second blog post comment today, please know that I do not censor my comments (unless they are spam, of course, which happens a lot). Both of your comments are simply pending approval right now. 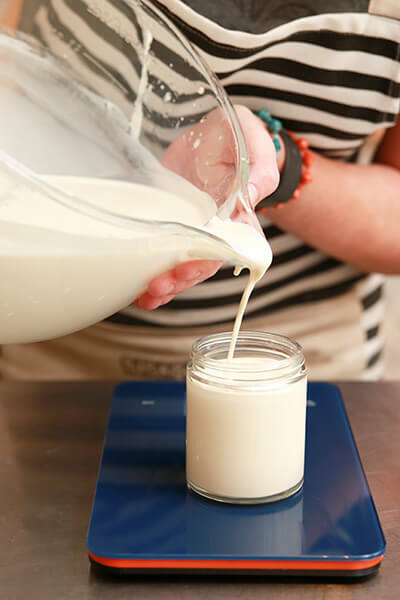 I would love for you to think about the information I have provided, give it another go, and note that I am updating my recipe (and the product descriptions in my shops) with this more developed information. It is important for people to have and know, and I do not think I was as clear as I could have been regarding how to apply and use natural sunscreens. I do thank you for helping me to see that I need to be more clear in my directions and explanations of how all-natural, organic, mineral sunscreens work on our skin. I look forward to hearing back from you soon. I also wanted to pass this recipe your way as a way to help with your uncomfortable skin: DIY Sunburn Salve. If you are interested, please send me your address so you can compare your creation to mine and again…thank you for your comments. Let’s get your burns feeling better and then give this another go. I am so pleased with your thoughtful response to my concerns. I believe that after re-reading your post and now these follow up directions on applying these home made sunscreens, that I made the critical mistake of assuming that this product would be more similar in application and need for re-application to a typical store-bought sunscreen. That fault lies also with me. I think a good point for new users might be to try this product (with your multiple re-applications instructions) for a short time in the sun on the first use to see how it works on their individual skin. In hindsight, a 4-hour swimming afternoon in the heat of the day was not a wise way to try this product for the first time! I will absolutely be trying this product again and re-applying much, much more frequently. It certainly isn’t fair to expect it to do the same thing in the same way as a product with all the chemicals that we are trying to get away from. I will need to train myself and my family to use this product as what it is, and not simply in the same way we used previous sunscreens. I still see the health value in this natural product and hope to try it again on myself and eventually my family- treating it as a product that is different than those typical harsh sunscreens, and as such as different needs in application. I very much appreciate your time and concern and will give you some feedback as we try again. Thank you for your clarification and suggestions that can help our family learn to use this product successfully. As you asked, my husband is finishing his degree next semester and will immediately start a 1-year accelerated masters program in chemistry that our university offers. I work as a school psychology specialist (with a specialist degree in psychology and counseling) so most of his expertise is quite foreign to me. Finally, please use any of this email as a follow up comment post to our conversation, or let me know if I can provide a follow-up response indicating my satisfaction with your thoughtful response and assistance. Your additions and specifics in the difference of re-applications needs from typical products addresses my concerns and is the most important information to be seen by others. Our conversations may be an important dialogue for your readers to see, but if they can gather the overall message in a better way than reading my original post (or definitely 2nd response) then the posting of it after review is certainly not necessary. I do not want negative attention drawn to your product based on error in some way on my part. EWG says “non-nano” is false advertising. Personally, I’d like to see more research, as the EWG would, too. Would this work in a deodorant container? Can you tell me approximately how much in volume this recipe makes? Interesting. This recipe is over 112% without using the Vitamin E. I formulate by % per item that make up the formula. How are you selling this sunscreen? In Canada we can’t make medical claims and are not allowed to sell sunscreen without getting it tested in a lab and paying thousands of dollars to get it approved. This looks like a great recipe. Are there rules about selling a sunscreen without actually having tested it for efficacy? I only ask because I generally buy a sunscreen from someone who doesn’t actually call it sunscreen because she said that she is not legally allowed to sell a sunscreen without having conducted tests…which now seems suspect considering that you sell it and you mentioned that you don’t have fancy scientific equipment! Which DIYer does?! You might be shocked (then again, maybe not) that there are VERY FEW regulations on skincare items sold in the USA. It’s pretty sad…and scary. You should check your facts again. Sunscreen is regulated by the FDA as a drug, not a cosmetic. You are not allowed to sell a product claiming to be a sunscreen without having it tested in a lab. It is illegal to sell any of these without proper testing. Hi Heather. Thanks for your note. I sell SkinShade, not sunscreen, and make no claims on the product. That said, I am in the process of having my product tested by an outside laboratory for SPF rating, etc etc etc. The FDA will be next. I am also in the process of having all of my handcrafted products certified organic. Yay! If you do not wish to DIY this and would rather purchase something over the counter, go for it. I have used this on my family for 3 years…never a burn. But, again…if you feel this isn’t a recipe you want to try, then please don’t DIY it. The same logic goes for purchasing SkinShade. “know it all” mind set individuals….SMH… Im sorry, but, ignorance and Rude People, In my opinion, are Appalling… Im a Registered Nurse and have worked in the Medical field for over 45 years and you should not have to deal with half of the Rude individuals I have through the years, my Patients had a reason for being that way, they were all sick! I wish you the Best Life has to offer and Please, continue to Ignor mean and empty Words of the few! This looks awesome! Thank you so much for posting! (and you are correct about crossover- I am totally going to go browse your store). Could you just use all coconut oil? Like no other carrier oil? Thanks again! Wouldn’t this be considered a sunblock instead of a sunscreen? I’m not trying to criticize, I only say it because, had I not seen your other recipes, and blog posts knowing you feel the same way about chemicals that I do, I wouldn’t have taken the time to see what it really was. Sunscreens are the dangerous chemical based products that absorb UV rays, where sunblocks use zinc oxide and the like to actually block UV rays. When I look for sun protection, to save time, I avoid anything with the word sunscreen, if it says sunblock I will take the time to research the product. I am excited to try this recipe, thanks for sharing it! Lori, I think the word “sunscreen” is slowly coming to mean physical barrier products as well. Neutrogena Banana Boat, and Blue Lizard all have zinc oxide / titanium dioxide (physical) products that they call “sunscreens”. my babies have sensitive skin and have had nasty reactions to the zinc oxide used in diaper rash creams. have you had any bad reactions reported of your sunscreen? No, I have not. That said, everyone has similar makeup in skin composition, but we are all different in our skin needs. This is not something that most would have a sensitivity to, but others certainly might. I can say that it is definitely much more safe that the vast majority of sunscreens on the market today. Good morning! The link for the coconut oil isn’t working. Do you purchase it from MRH as well? Super excited to try all of these new recipes. I’m really new to essential oils and good-for-you products and I don’t want to waste good ingredients by adding them into not so good bases/ carrier oils etc. so the links to where to get good stuff is very much appreciated. Thanks for sharing! Hi Lina! You are very welcome. 🙂 HERE is the coconut oil that I use. It is virgin and pressed by hand…the best I’ve ever used, especially for DIYs. So…happy DIYing to you! what is the “t” stand for? I can wait to try your sunscreen recipe! Check also on amazon for zinc, make sure to read the descriptions and comments. I got mine there and it was very reasonable and of course free shipping via amazon prime is great! Now I have to get mixing! Great recipe! I was wondering if a person could crush up some zinc supplements or use Penatine creme which is a zinc medicated creme for the zinc oxide you recommend? Thanks! I would not use those things. I have no idea what they are and seriously doubt that they are the same thing as the raw, uncoated, non-nano, not micronized pure zinc that you need for the SPF protection. Apparently there is some on Amazon (I’ve been told, but have not tried it myself) that is uncoated, non-nano, and not micronized. You can also purchase it from New Directions Aromatics (the only place I buy it) or you can purchase a small amount of zinc from me here. 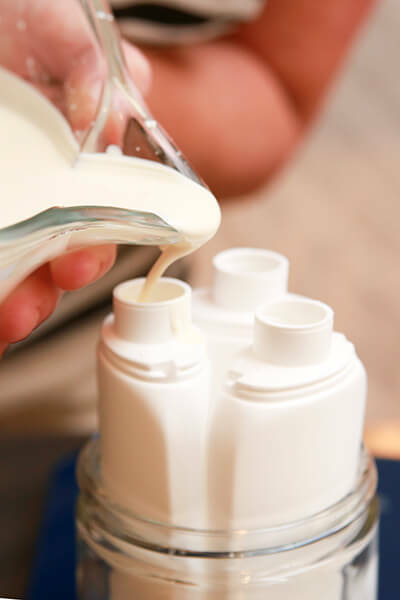 Can you use penatine creme or crush up zinc supplements instead of trying the find the zinc oxide you recommend? Thanks! Is this safe to use on baby? Unfortunately vitamin e doesn’t stop microbial growth, it’s an antioxidant, so it’ll help it from going rancid, but not bacterial/fungal growth. I really wish more people would actually research this thoroughly before misinformation spreads. 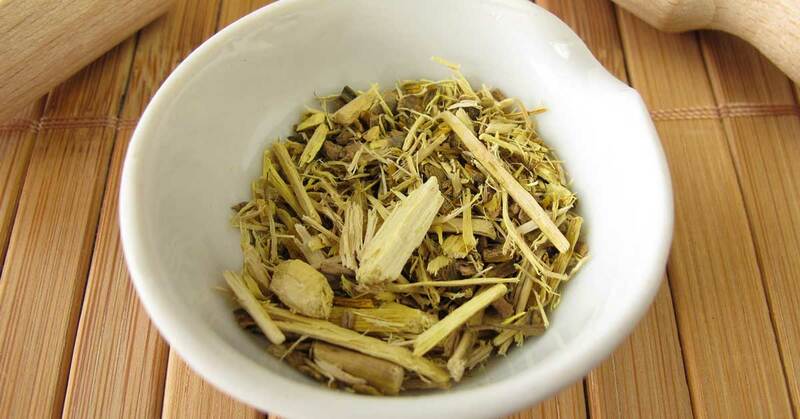 For those looking for a vegan alternative for beeswax can use candelilla wax, which is plant derived. Yes, I agree, I know that borax is commonly used in lotions and that might be something that could be researched. Thanks for your note. I actually do not say that it will inhibit bacterial/fungal growth. Here is what I say…..
“Great question. The Vitamin E gives it pretty good stability, in terms of preservative action. That said, you don’t want to put dirty fingers into your container, which will invite bacteria. As for borax, I do not like using it in my skincare creations. It is not a proper PhD balance for our skin. I know that many use it with success, but I do not have success with it on my sensitive skin. Actually Maria has it right–Vitamin E oil is definitely not an “antimicrobial,” which is the word you used and which does indeed mean “destroying or inhibiting the growth of microorganisms and especially pathogenic microorganisms,” e.g. bacteria. (source: Merriam-Webster dictionary) It can help prolong the shelf life of carrier oils, but it does not guard against the proliferation of microorganisms. 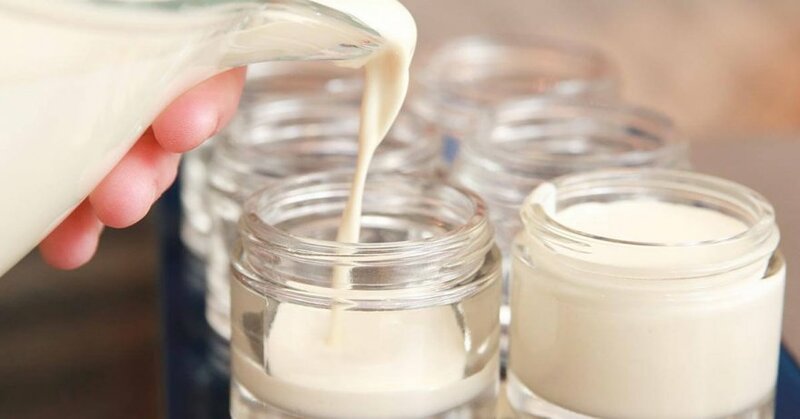 This piece of misinformation is rife in the natural skincare products/DIY sector–please use your influence to help combat it by using proper terminology in addition to your great warning about not putting dirty fingers in skincare containers! Thank you Maria! I am vegan and I was going to ask about a wax alternative to beeswax. Thanks for answering that. I am ordering some of your sunscreen to try and hopefully if all goes well for my sensitive skinned, allergy prone kiddos and hubby I will be making some. I was hoping to incorporate some carrot and/or raspberry seed essential oil for there SPF properties, any thoughts? Hi, thank you for this excellent recipe. You probably already know this, but for weight measurement accuracy you should use a barrierscale after you place the warm bowl between the warm bowl and the the scale. Heat, by itself, will make the weight falsely increase. Perhaps your scale has this feature built in, but many do not. Try not adding the zinc but still watching the there. Great issues altogether, you simply won a brand new reader. What could you suggest about your put up that you just made some days in the past? Any certain? Your theory is absolutely correct: I read your entire DIY page, and then went and ordered some. I think it’s great that you offer both options! I strongly suggest people not use this, Zinc Oxide has been determine to cause massive DNA damage and cancer. The sun radiation hitting the zinc molecule causes liberation of high energy electrons (see any physics/chem/organic chem text book) . This electron shreds DNA , which leads to formation of cancer. Because the skin is the highest division rate, it is the highest rate of cancer, adding zinc or other metals increases this rate. These findings can be found on pub med, or other science papers search. (published in january 2011-2012 i believe ) DO NOT USE ON CHILDREN!!!!! I did a little research, and that risk appears to be linked to the specific zinc oxide products she specifically said to avoid. It appears as though you commented here previously after making my non-toxic sunscreen recipe and it worked for you. Great! I just saw your most recent comment come through re: toxicity. I am not sure I am following you…? You can learn more from EWG (a very reputable organization) re: zinc oxide. You’ll quickly see that it is not toxic like the other things I mentioned in my post, at all. If you have any research-based studies to pass my way I am happy to read them. Thanks for stopping by. Please see my comments in this thread re: toxicity of zinc oxide. It’s actually one of the safest things you can use on yourself and your family! That said, I’d love to peruse any research-based articles you can send my way. I have roseca. Will you sunscreen be ok for my face? I have a friend who is allergic to sunscreens with alcohol in them. It doesn’t look like yours have any alcohol in the active ingredients or even inactive ingredients too. I would like to refer her to order from your website, but I just want to make sure first. Thanks! I am allergic to zinc oxide. I’ve been using sunscreens that contain titanium dioxide but they’re so expensive. Any ideas? Someone told me young carrot seed oil is a natural sunscreen. I havent tried as i dont know where i would find it? I searched for the zinc oxide on the new directions aromatics site you recommend and that product doesn’t exist there it seems. Do you have another resource? I’m far too lazy to make this (laundry soap is pretty much the limit of my patience), but you’ve made a good enough case for me to buy a little of your sunscreen to take for a test drive. I live at 5000 feet in southern Arizona. This is about as extreme as it gets for sun exposure in the US. To top it off, I burn with a mighty quickness. Scandinavian heritage, and all that. If I can make it through my Saturday farmers markets unscathed, you’ll have a customer for life. Ok. Took this stuff for a test drive and it worked beautifully. Only one application at 7:00 am, and I came through my entirely outdoor saturday without changing color. That’s pretty amazing for this pasty white lady. I have to use the commercial spf40+ sunscreens for these results. Bonus points for it not irritating my eyes! And no breakout. Thank you, thank you, thank you for posting this!!! I’ve hated the idea of putting all those chemicals onto and into my body with store bought sunscreen! I’ve been looking for a recipe and will be putting this one to use this summer! My cousin and I are going to be working on our own lotions and chapstick this summer too. I am very allergic to coconut oil, is there another base oil that can be substituted? My son has battled Luekemia and so we are very careful to always use sunblock. I would love safer options that we aren’t allergic to. Thank you for your help! Do you any samples available of the sunscreen? or Do you have a guarantee in case someone is allergic to the product? Last summer my daughter had an allergic reaction to sunscreen/sunblock (itchy, blistery rash). We have been trying to narrow down the source of the allergy and we think it is in the benzone family (Oxybenzone and Avobenzone), but we are still trying to narrow it down. She has an outdoor summer job for this summer and we are trying to find a sunscreen that will work. Thanks for your time. Can you add essential oils to this recipe to scent it? Can you substitute something else for the shea butter? Unfortunately, it gives me a rash! I also am interested in a way to do this without the beeswax. Thank you for sharing! I worry about using bees wax. With all the bees dying, the beeswax is probably full o of pesticides too. What do you think? Hi There- This looks incredible and I’d like to try it. I don’t have a scale, however. Is there a way to measure this with cups, tsp, Tbsp? Thanks! Yes, please! I second this! If it’s not too much to ask, I’d LOVE to see your recipe in teaspoons if possible. I third this request! 🙂 really want to make this, really terrible at conversions!! make me the 4th !!! I’m allergic to beeswax (I know, so weird), so I was wondering what I could use instead to maintain the consistency of the sun screen. I am allergic to beeswax too…well not to the beeswax exactly, but severe allergy to propolis, which is sometimes present in beeswax. I was going to ask the same question. This looks awesome! What can I use other than beeswax if I want to keep it vegan? Thanks so much! I am fortunate to be the neighbor of “Scratch Mommy”. Many times Jessica has asked me if I would like to be a guinea pig for one of her new creations. I don’t even have to ask what it is. I just say, “Oh, heck yes.” Never have I been disappointed. The Sunscreen is no exception. I used two different versions last summer. As most of us do, I spend a lot of time outside in the summer. Both versions not only prevented sun burn but left my skin feeling moisturized. It wasn’t slimy and I was happy about that. Even the tops of my ears were safe. This Sunscreen is a home run!!! Jessica is the “mad scientist” of the neighborhood and the rest of us benefit from her dedication. Thanks Jessica for another fantastic product. I’m ready to be your guinea pig any time! First of all, you have no need to apologize for not sharing the recipe earlier. You are so generous to share so many of your recipes. I recently made a very similar recipe and was also amazed at how easy it was and how well it turned out. I was trying to make a sunscreen that my fair-skinned redheaded son wouldn’t mind using daily. He was complaining that the sunscreens he had aggravated his acne, so he was not using them regularly. I added some tea tree oil to the recipe I made to see if it would help with that. I haven’t heard a verdict from him yet, but when I tried it on myself it felt great on my face! Anyway, thought I’d throw that out there for those looking for something more “face friendly” for teens and young adults with acne struggles. I can’t convince him to try the “oil washing method” so figured I’d try this and see what he thinks. <3 Thanks Kim and Jamie.